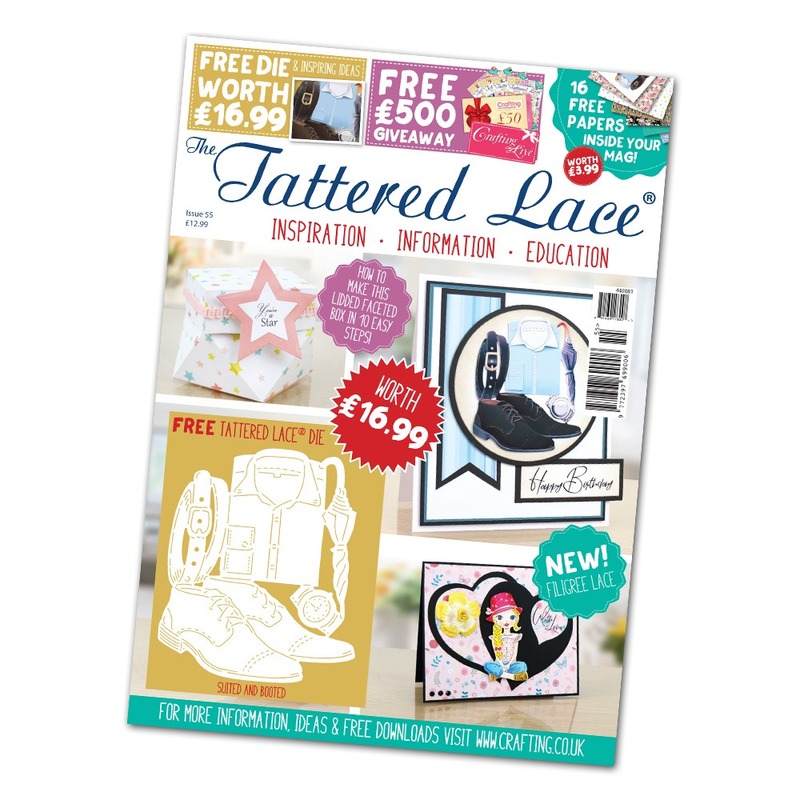 A great big welcome to Tattered Lace issue 55! First things first, our FREE gift! 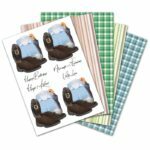 We’ve got the Suited and Booted die for you, perfect for a dapper man in your life and great for beautiful cards that still have a masculine edge. Try it with the free Charisma sheet, and don’t forget to head to the Tattered Lace website to download extra colour ways! We’ve got some lovely summery projects this time round with the Sweet Pea, Peony, Orchids and Jasmine dies, all with beautiful floral details and heartfelt sentiments to make the perfect cards.